The Broncos also offer Super Bowl 50 travel packages that include a Super Bowl 50 ticket. PrimeSport is the official fan travel provider to the Denver Broncos. The offered packages start at $3,762.50 for a Super Bowl 50 ticket and access to the official Broncos Fan Pregame Bash. Super Bowl 50 travel packages including airfare, 3-Night hotel and Super Bowl 50 ticket sell for $6,895. PrimeSport is also the official travel provider for the Carolina Panthers. Panthers fans have to spend $7,305 for the travel package that includes airfare, 3-Night hotel and Super Bowl 50 ticket. 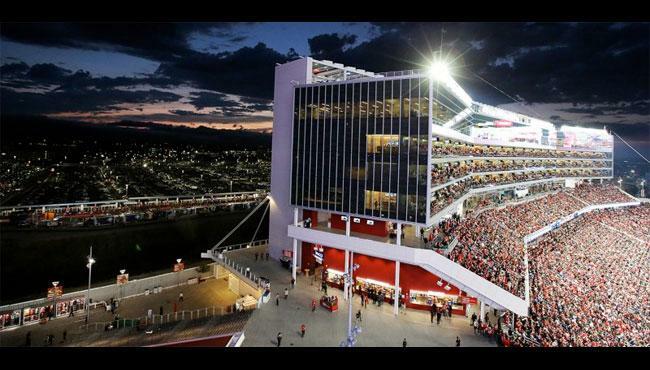 We also found an over the top expensive luxury Super Bowl 50 package on sale for $550,000. The package is for 20 persons including premium Lower Level seats. Other highlights of the package include a chartered flight, rooms in the Broncos team hotel, access to parties and more. The Ultimate VIP Super Bowl 50 package is available on VividSeats. The official NFL Ticket Exchange is another option to purchase tickets to the Super Bowl 50. There are currently 203 tickets listings starting at a whopping $4,095 per ticket. You are getting a normal seat in the ranks for the $4,095 and not a place in a suite, which you would expect for four thousand Dollars.